2018 marks the 150th anniversary of Japanese immigrants in Hawaii. This year’s Honolulu Festival is hosting two special events in commemoration of the anniversary. Admission free! 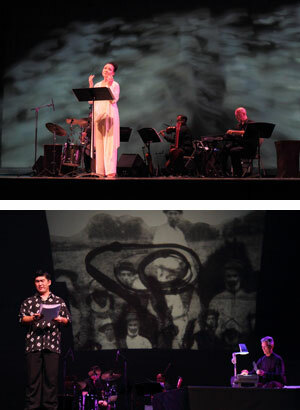 In commemoration of the 150th anniversary of Japanese immigrants in Hawaii, we are hosting a “narrative theater” about the story of Japanese immigrants and mythology at this year’s Honolulu Festival. 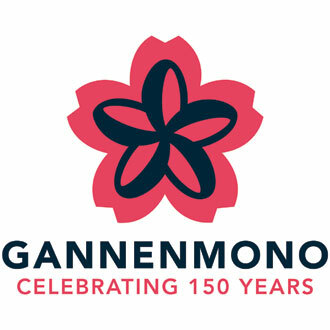 The purpose of the theater is to revisit the history of Japanese immigrants, and to tell the unique mythology of their home country. We will showcase how Japanese people have found their roots in their mythology, and how some of them went on to start their new life abroad, bridging Japan and the world. While the gods and goddesses of the myths from other regions are often depicted as impeccable, the deities of Japanese mythology are immature like real humans. They would get into an argument, but they eventually grow up by cooperating with each other and overcoming challenges. As Japanese people lived in an agrarian society, they resonated with the mythology in their life that involves living with the nature, their ancestors and their neighbors. And they developed the modesty, politeness and thankfulness towards the unseen, which resulted in the Japanese society that values harmony and family-like communities. The world as we know it today is full of ethnic and religious conflicts. We believe that history, and particularly mythology, can provide some wisdom that helps solve the problems faced by the humanity. Sakurakomachi Wagakudan is an all-female orchestra that plays traditional Japanese music and folk songs with instruments such as koto, shamisen, shinobue and wadaiko. As an orchestra consisting entirely of women from Japan, we strive to create attractive and inspirational art. We are active internationally and perform all over the world every year. The prototype of koto was imported from mainland China during the Nara period. The instrument then evolved to play a wide variety of songs during the Edo period, leading to its popularity across Japan. 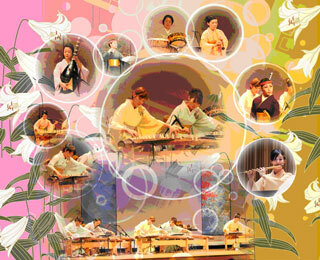 Koto has 13 strings, and performers alter the pitch of a string by manipulating the bridge. Tsugaru shamisen was established as a genre in the Tsugaru region of western Aomori. It is characterized by a unique, percussive playing style, and its repertoire of songs with faster beats and tempo. This instrument is widely played at festivals, kabuki theatres and ceremonies in temples and shrines. The wooden body of a drum is covered with leather skin, and the strokes on the skin produces powerful sounds. Shinobue is a general term for Japanese transverse flutes made out of bamboos with holes cut into them. The instrument has long been used for various genres of music, such as Japanese folk songs and nagauta ensembles. It is one of the most familiar musical instruments for Japanese people.